POLCA stands for Paired-cell Overlapping Loops of Cards with Authorization. It is a variant of Kanban, suitable for companies who produce many different and/or customer-specific products. POLCA was invented by the American professor Rajan Suri. He positions this work-load controlling system as part of a broader management philosophy, called Quick Response Manufacturing (QRM). In that approach, lead time reduction is the Holy Grail. To apply POLCA and/or QRM, the shop floor is divided in flexible and multidisciplinary staffed work cells. These cells only make semi-finished products for receiving cells, when these have (at that moment) free capacity to process the products further. To assure that, adapted Kanban-cards are used, which circulate between the workcells. These POLCA-cards signal which workcells downstream have free capacity. PT Industrieel Management (may ‘07). Since then, the article has been regularly updated. “Use one, make-one” is the basic principle of Lean Manufacturing and the matching Kanban-system. However, the number of customer-specific producing companies for which this approach doesn’t work without adaptation is growing. Their hope is among others placed in a adapted version of Kanban: the POLCA-system. POLCA divides the job floor in flexible and multidisciplinary staffed workcells. These only make semi-finished products for receiving workcells which have free capacity. To assure that, POLCA-cards circulate between the workcells, which signal if and where there is room for further processing. The inventor of POLCA, Rajan Suri, positions this system as part of a broader management philosophy, called Quick Response Manufacturing (QRM). In that approach, lead time reduction is the Holy Grail. One of the key questions to be answered by this article: What do POLCA (and QRM) add to alternative (and older) logistic improvement methods, like Lean Manufacturing and the Theory of Constraints? It's common knowledge that Lean Manufacturing aims at eliminating waste, such as (intermediate) stock. Thereto, production lines are formed which produce in flow, controlled with Kanban-cards. After consumption of a small amount of a certain item at a certain workcenter, a Kanban-signal is send to the preceding workcenter. Basically, the corresponding message is: “I used one, please send me one new”. Connecting all the work centers with Kanban-cards makes production-to-order possible, since it is a pull system. However, to function well, there should be a limited number of product variants, as is the case with for example car production. Unfortunately the number of companies which make many different products is growing. In that situation, the Kanban system doesn’t work well, because for Kanban it is needed to keep dedicated intermediate stock for all products, see the box “Kanban versus POLCA”. Even more challenging is customer-specific production. Then it becomes completely impossible to form dedicated production lines, which is after all one of the basic principles of Lean Manufacturing. 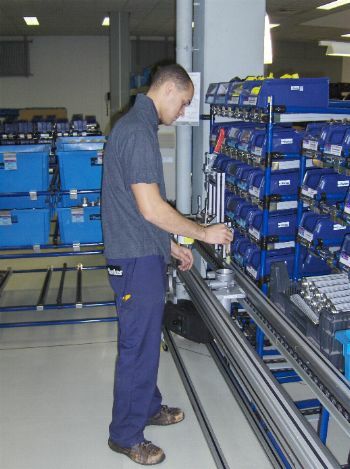 The common approach is then to re-organize the work floor by forming flexible workcells. Each of those cells is staffed with a multidisciplinary team, and each cell performs a group of similar tasks (such as the execution of similar manufacturing processes). Each cell can temporarely become part of many different production routes, at will. This is possible because, in contrast to traditional Lean manufacturing, there are no fixed production routes. On the contrary, semi-finished products move criss-cross over the shopfloor, while visiting workcells when needed. 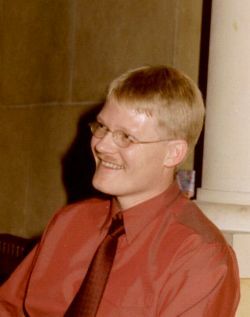 Jan Riezebos, assistant professor design of production systems at the University of Groningen in the Netherlands, published a PhD thesis about cellular production in 2001. When a company has a complex product mix, Polca proves to be superior to the Kanban-system. To explain why, we take a printing business as an example. In this business, each order starts at a desk-top station. The production route of simple work starts at workstation “Desktop Elementary” (DE), more complex orders start at “Desktop Complex” (DC). The next stop of an order is either the “Pre-press station Elementary” (PE) or the “Pre-press station Complex” (PC). The third and final step in each production route is either “Printing in one color” (A1) or “Printing in four colors” (A4). DE (desk-top elementary) > PE (pre-press elementary) > A4 (printing in four colors). First, we try to control the production with Kanban cards. To do that, we have to take for granted that pre-press station PE has a small amount of stock needed to complete each possible production order. Using some of that stock is step 1, see the figure, in this case material with serial number #089 was consumed. To this inventory a Kanban-card was connected. Station PE sends this card to the DE-station, this is step 2. The message is simple: “I consumed material #089, please send me new”. In step 3, station PE produces the prescribed amount of material on the card, and replenishes the stock with serial number #089 at station PE. Thanks to the Kanban-system, the amount of stock per item remains (very) low. After all, replenishment only takes place after consumption. But there is a problem, if there are many product variants. Note, that for every type of possible product an amount of intermediary stock has to be kept at every workstation in the route to make that specific product. So, if there are many different products that can be ordered, the total amount of stock on the shop floor becomes very high. The conclusion is, that Kanban doesn’t work well when the product mix is complex. But it becomes even worse: In the printing business, Kanban does not work at all! Because each product should be made conform the description by the customer, it is impossible to know a priori what intermediate stock is needed. In other words, every production step is unique and can only start after a printing order has arrived. 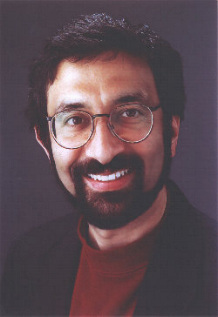 In 1998, Rajan Suri therefore adapted the Kanban-system to control the need for capacity instead of the need for materials. This system is called POLCA. Still, instruction cards circulate between workstations, to gear the activities to one another. Visual control, typical for Kanban, is thus still in place. However, there is also a crucial difference. A Kanban card signals a supplying work station that there is need for replenishment of specific materials, while a POLCA-card signals to a supplying workstation that there is free capacity to work on semi-finished products, produced and to be delivered by that work station. Note that it doesn’t matter which products, since a POLCA card has no article number on it. In addition, with POLCA nothing is produced to stock. The order concerned is released for production. Generally, this is controlled by the ERP-system. Station DE has at least one POLCA-card for supply to station PE (this card indicates that PE has capacity to process the semi-finished product further, when it arrives). A POLCA-card resembles a domino, with on one side the supplying work station, and on the other side the receiving work station. In this case station DE therefore needs a POLCA-card DE/PE to start with this specific order. If the order was released by the ERP-system, and station DE has such a card, then production will start, see step 1 in the figure above. Next the semi-finished product will, together with the DE/PE card, be handed over to station PE, to execute the second production step. However, station PE is only allowed to start with that, if there is free capacity on the next and in this case final work station A4, which is the four color printer. That will be the case if station PE has at least one POLCA-card PE/A4 (which gives permission for delivery from PE to A4). So, to process the order coming in from DE on station PE, two POLCA-cards are needed, forming a ‘domino street’ DE/PE PE/A4 (see step 2). 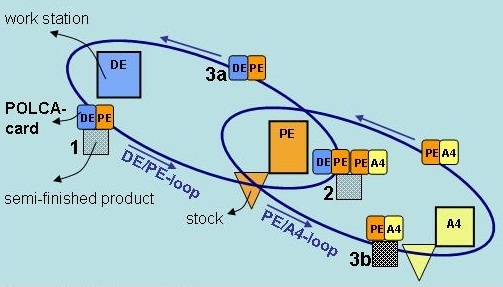 When station PE is finished working on the product, card DE/PE is returned to the supplying work station DE (step 3a). Card PE/A4, together with the semi-finished product, is send to work station A4 (step 3b). POLCA is not only the name of a dance, although - according to Rajan Suri - this system makes ‘materials dance across the shop floor’! POLCA is also an acronym for Paired-cell Overlapping Loops of Cards with Authorization. ‘Paired-cell' indicates that work stations are connected by circulating cards, to level the workload. ‘Overlapping’ refers to the fact that an intermediate work station needs two POLCA-cards to start production, as demonstrated above. POLCA functions without intermediate stock, therefore this system works well in the printing business. In addition, POLCA prevents that a work station becomes overloaded with work-in-progress, because only new materials are sent if there is free capacity to process these further. If that is not the case, supplying work stations will work on orders for other receiving work stations. POLCA implies, that all production cells which can exchange materials, are in pairs connected by circulating POLCA-cards. A POLCA card S/R, with on one side the supplying workcell S, and on the other side the receiving work workcell R, gives production cell S permission to produce semi-finished products which need further processing at cell R.
When the work is ready at cell S, the product is send to cell R, together with the S/R card. Next, when work is finished at R, the POLCA card is returned to workcell S. This is the signal for this workcell that free capacity has become available at R, so it’s again permitted to produce products that need processing at that workcell (which will start a new POLCA-cycle). This control system is comparable to traffic lights, which do give access to a quiet motorways, but block the entrance to (at that moment) heavily used roads. Only the entrance of production orders is allowed, for which there is enough capacity at work cells downstream. If this is not the case, cells will work on orders that follow a different, more 'quiet' route. On paper, the POLCA system looks very promising. In practice however, implementing the system is not always (completely) possible. ‘We discovered that during research in several Dutch companies, such as Neopost, Eaton Holec, Power Packer and Parker Filtration’, says Riezebos. It should be possible to re-organize the shopfloor by forming a network of loosely connected workcells1. These can then connect and supply to each other at will, and this makes an endless number of production routes possible. On average, the capacity utilization of each workcell may not exceed 80-90%. So, like in Lean manufacturing, it is needed to invest in structural overcapacity. The capacity which is needed per cell and per product should be roughly predictable. If there is a strong variation in workload per product, that makes POLCA harder to implement. However, this hurdle can be overcome. Riezebos then suggests to assign a work load value to each POLCA-card, e.g. 10 minutes work. To start working on orders that generate a lot of work downstream, more then one of those POLCA card's are needed. If a shop floor meets all the conditions above, still implementation of POLCA is not always (fully) possible. As discussed in the case-study Parker Filtration, it can be a problem if there are many converging or diverging production routes. An example may clarify this. Suppose that workcell V1 supplies semi-finished products to cell M1, that need processing at cell E1 ór E2 ór E3 later. In that case, the POLCA-system will not automatically distribute the product stream, via M1, evenly over those cells. It is possible to adjust the production plan on a higher level with an ERP-system, but this becomes unfeasible if there are a lot of those situations. Despite of all the above mentioned conditions and problems around POLCA, it remains worthwhile for high mix/low volume producing companies to study it. After all, it is not necessary to implement this system everywhere on your shop floor. So, perhaps, locally good results can be achieved. 1) According to Rajan Suri, splitting up the shop floor is not always needed to apply POLCA. Olson Engineering appears to have implemented POLCA-control without work cells. Jacob Pieffers, at that time one of the students of Riezebos, developed a scanning tool to investigate if POLCA is a feasible option. In may 2007, there were still no companies in The Netherlands which had implemented POLCA. However, the tide seems to be turning. In 2008, Bosch Scharnieren, a producer of made-to-measure hinges, adopted the system successfully. The contrast between efficiency and flexibility to produce conform customer wishes is also called the dilemma of Lean versus Agile. This theme returns regularly on this site. One of the possible solutions is the POLCA-system, as described on this page. Another solution is to stick to ‘common’ Lean manufacturing, but with the introduction of productions cells, in which product families are produced. An example of this strategy can be seen in the Dutch company Vlastuin. A third possibility is applying CONWIP, CONstant Work In Progress. This can be seen as a strongly simplified version of POLCA, because in that case cards only signal when there is room for extra work in progress on the shop floor. Rajan Suri positions POLCA as part of a broader management philosophy, called Quick Response Manufacturing (QRM). In that approach, lead time reduction is the Holy Grail. Lean-tools like Value Stream Mapping are applied, be it with a different goal: to achieve lead time reduction in the process from buying raw materials, to delivering products. In QRM-terminology this trajectory is called the Manufacturing Critical Path. Since 1993, professor Suri is director of a centre for QRM. To provoke managers he developed a question list, to which they often give – in his opinion – false answers. For example: An obsession for just-in-time delivery, or making a difference between regular and ‘hot’ jobs, will only lead to longer lead times. The reason for that is the Response Time Spiral: Rush jobs will delay regular jobs. As a result there will become more rush jobs, which will cause more delay etcetera. In addition, Suri points to several disadvantages of Lean Manufacturing. The strong focus on just-in-time supply will, in his opinion, lead to a shift of inventory to the suppliers. Further, reducing waste locally is not always good. Sometimes it can for example be profitable to reduce the product batches, though this raises the set-up-times. This apparent increased waste can be acceptable if the total lead time from raw materials to delivery is reduced. Therefore, QRM focuses on the elimination of waiting times, instead of reducing waste. It is striking that Suri compares QRM with Lean, and not with the much more related Theory of Constraints (TOC). TOC and QRM share the fact that optimizing complete supply chains is the goal. However, TOC does this by throughput acceleration, and not by lead time reduction. 'The Polca-system helps to make a clear distinction between QRM, Lean and the TOC’, thinks Riezebos. Undoubtedly this is true. The development of the drum-buffer-rope principle laid the basis of the TOC. Later, this way of thinking was broadened to resolve bottlenecks in factories and supply chains. In a similar way, POLCA can be seen as one of the most important pillars of QRM. It is a new mode of thought, which can be widened to control supply chains. POLCA definitely adds something new to existing systems for logistic control, like Kanban and drum-buffer-rope. Implementing POLCA is however not always possible, due to certain restrictions. It remains worthwhile for 'high mix/low volume'-producing companies to study POLCA. After all, it is not necessary to implement this system everywhere on the shop floor. Perhaps, be it locally, good results can be achieved. This is consistent with the philosophy of this website: take notice of all possibilities, and apply the tools that fit best in a certain situation to delevop your own production system! 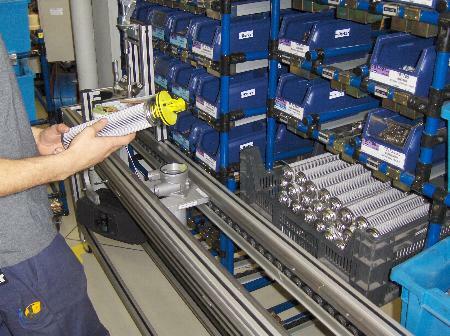 Production at Parker Filtration: Kanban controls the production of standard components via a central production line. Production of customer-specific parts is tuned to that by human planners.